Maintaining and caring for the Sierra Foothill Research and Extension Educational Fruit/Nut Orchard has been a tremendous pleasure over the last 7 years. 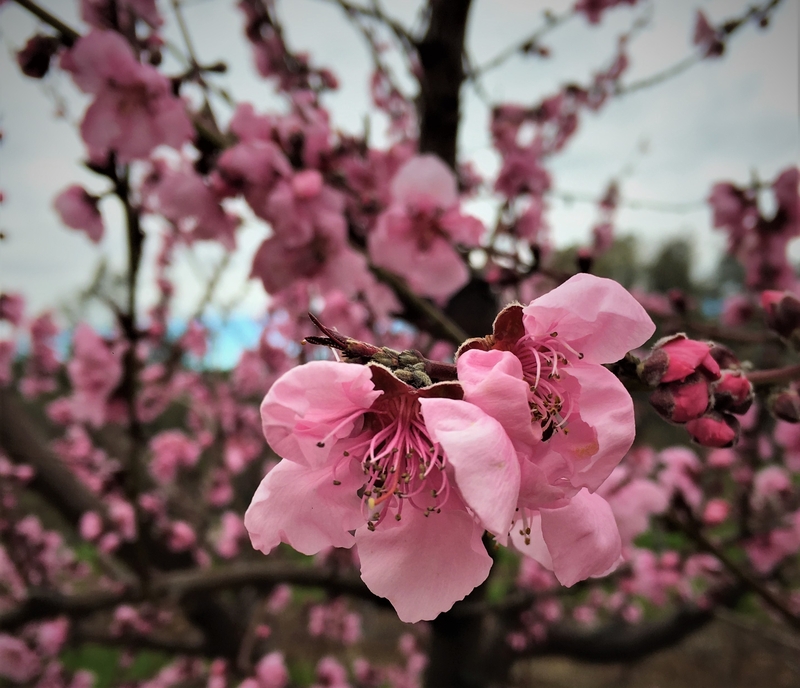 Not only does the orchard provide over 50 different varieties of fruit and nuts throughout the year but could provide an educational outreach resource to the local community via schools, local residents, Master Gardeners, and California Naturalists. 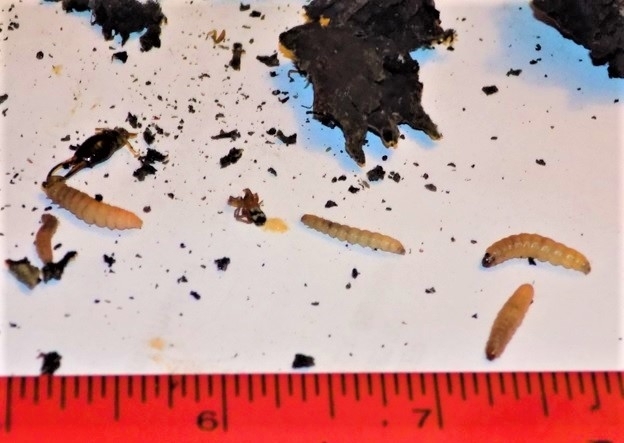 Identify, collect, and eliminate this over-wintering physical structures to decrease future pest activity. Using a bucket, keenly glance over each fruit/nut tree individually and collect leftover, shriveled, old fruit on tree branches and the ground. 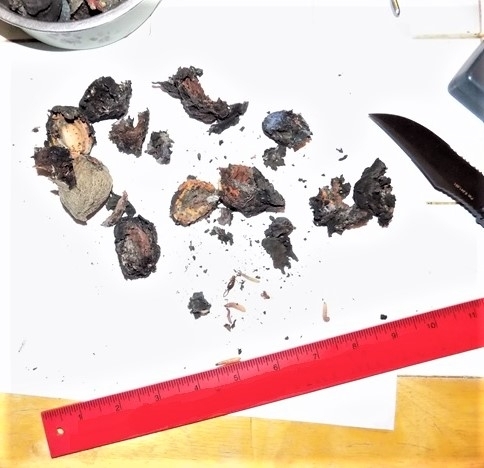 If you remove the “'mummies” from the tree and dispose of them on the orchard floor, the fungus spores and insects will continue to live and multiply and infect your home orchard. Transport the bucket full of “mummies” away from the fruit/nut trees to prevent future contamination. Now, in my recent efforts to find out the best environmentally conscious method of disposal, I was unable to locate research publications advising a preferred direction. I ended up burying them in the soil ½ a mile away. Will the bugs and fungus die/live/prosper? 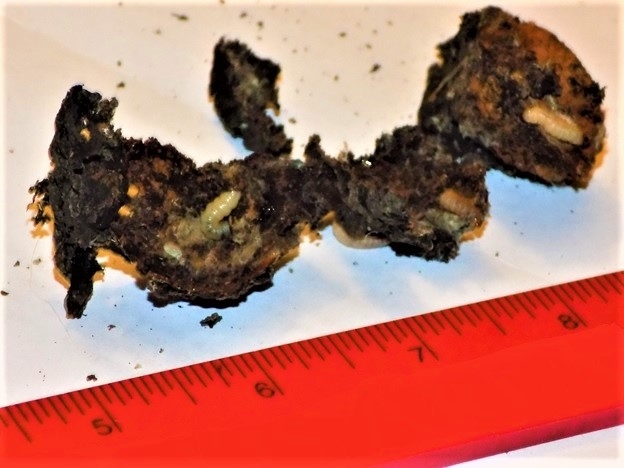 I could time the disposal of “mummies” when I burn an agricultural pile of debris or soak the bucket in water with a small percentage of citric acid. Readers are encouraged to chime in and submit their opinions and thoughts. I appreciate your time and effort reading this message. ¹Geisel P.M., Ingels C.A., and Norton M.V. 2007. 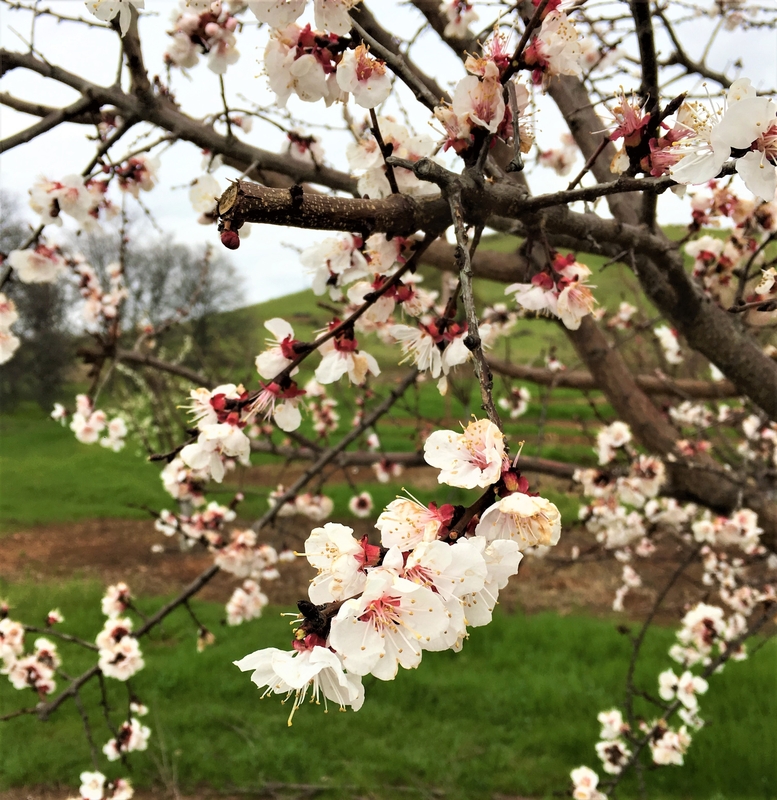 The Home Orchard: Growing Your Own Deciduous Fruit and Nut. University of California Agriculture and Natural Resources. Pub. 3485.